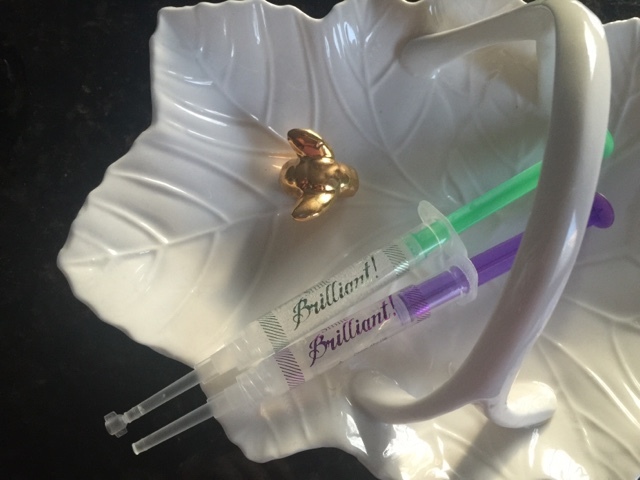 I was approached by Smile Brilliant to try their teeth whitening process. While I don't use teeth whiteners too often, I have tried a few brands before and a few DIYs for whitening as well. I was really intrigued by the promise of dentist-office white teeth at home, and I decided to give it a try for a couple weeks. The first step in the process if the teeth moulding process. I was provided with two ingredients that mix together to make this moulding paste. I then had to place the tray and the paste on my teeth to create the solid mouldings. 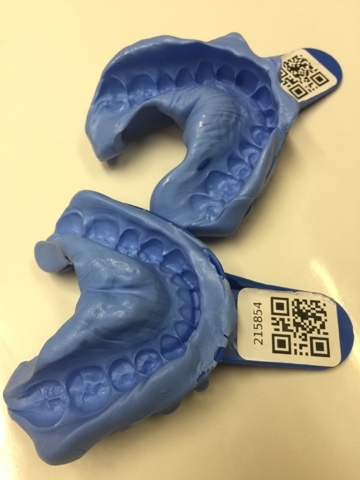 Finally, these mouldings are sent back to Smile Brilliant so that they are able to create the customized teeth trays. The timing of this portion takes anywhere from 2-3 total from receipt of the ingredients to make the mouldings to the receipt of the clear customized trays. 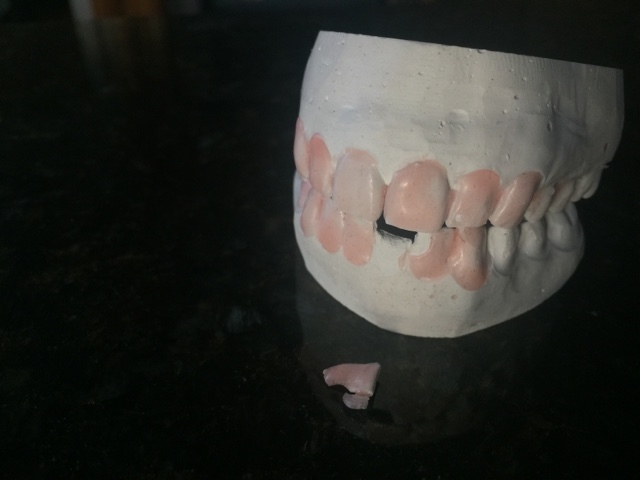 They even recreated my teeth from the mouldings I sent them! It got a bit damaged on the way to me, but its interesting to see how accurate their system is. 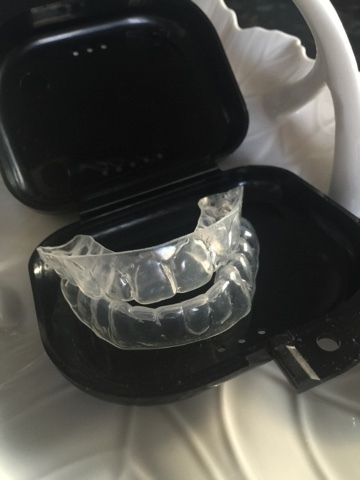 The clear trays are empty, they are the tools used to hold the activated whitening agents up to your teeth for a long period of time. The trays fit perfectly: they are snug and clear. And I received them quite promptly, about 5-7 days after the mouldings were received at Smile Brilliant. Now, in order to whiten your teeth, you use two gel agents: first, a whitening agent and second, a desensitizing agent. The gels are placed in syringe-like tubes that help you deposit the gels in a thin line into the trays. The tube with the green writing is the whitening agent and the tube with the purple writing is the desensitizing agent. It's obvious that the whitening agent whitens your teeth, but the desensitizing agent is supposed to help desensitize your teeth and close the pores on your teeth while providing the nutrients/minerals that they require and were stripped of during the whitening process. So I began the Smile Brilliant teeth whitening program for 14 days. I started with whitening for about only 20-30 minutes and worked my way up to 90 and even 105 minutes of whitening at the end of it! 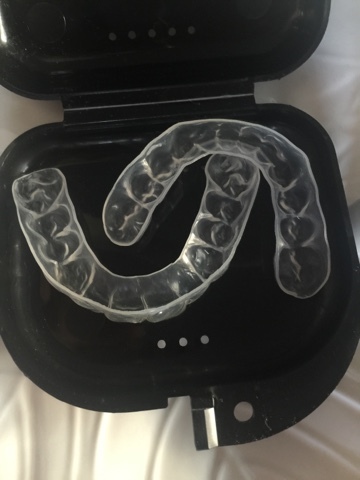 I did have problems with sensitivity, where my teeth would feel sensitive for even the next day, and during those days I would take the day off from whitening - which may have affected my results. However, I did find out that if you are prone to sensitivity, a way to combat this would be to use the desensitizing gel for 15 mins before applying the whitening gel, and then again after the whitening process as usual. The pictures above make it hard to discern if it whitened my teeth, especially because my Day 0 pictures make my teeth look really white. However, it's hard to get a consistent shot with natural lighting during the winter months. 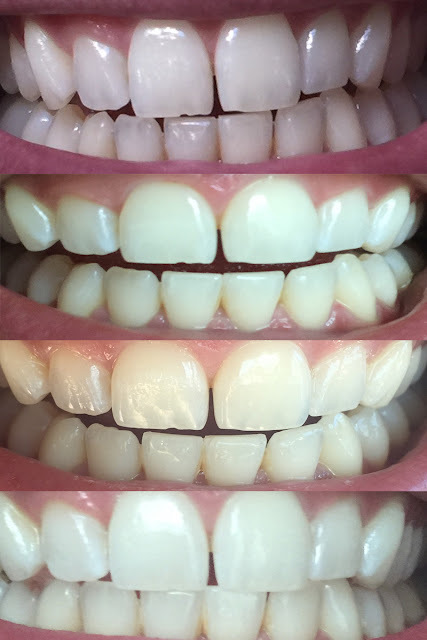 I will say that I think 2 weeks is the minimum to see real photograph-able results, but immediately after the treatment you will see some white patches - which tend to fade and the tone of your teeth should even out (it did for me). This is a strong treatment - stronger than the drugstore brands that I have tried, and it does work faster. I think if I didn't have to take days off in between for sensitivity I would have had better results - but as with anything you do to your body, its certainly a learning experience! I would say from Day 4 to Day 14, there was a notice-able difference and overall I'm quite happy with how the process has lightened my teeth. If you want a strong, 2 week whitening treatment, I do recommend giving this a try if you have the funds for it. It's a bit pricey compared to drugstore, but less than a dentist's office, so it's a commitment. My teeth are actually quite stained, since I'm such a coffee and red wine lover, but this has lightened my teeth after 2 weeks. If you want a dentist-standard white smile, but half the price and all at home, then Smile Brilliant is a very convenient way of doing it. You can also check out a YouTuber's experience with the product here. She shows you the process I've outlined above, and her results are a lot more drastic than mine. They also have a testimonials page on their website where you can see other users' results. Have you ever tried a teeth whitening system? 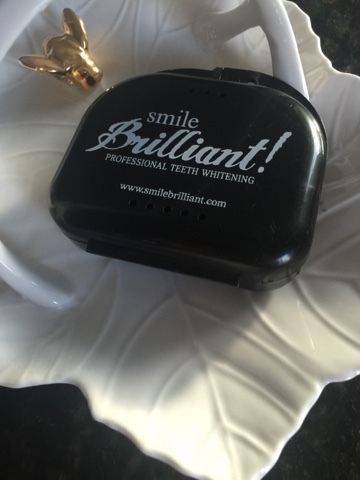 Have you ever tried Smile Brilliant or are considering it? Disclaimer: this was sent to me by Smile Brilliant for consideration and review.